Jesus Rome has been a resident of the Hermiston for almost 30 years. Jesus received a B.A. in Christian Ministry from George Fox University and a MA in School Counseling from Heritage University. 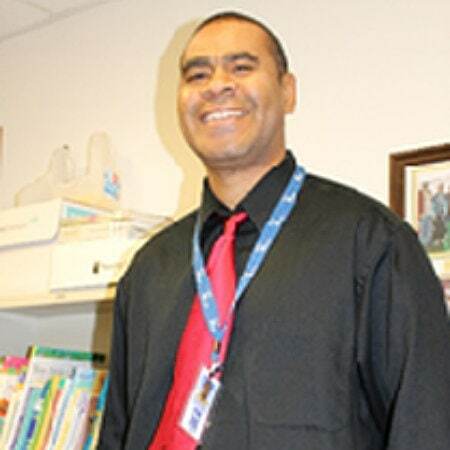 Jesus is currently the Program Manager of the Umatilla-Morrow Head Start CASA Program, where he has been employed for 15 years. He manages 40 CASA volunteers that serve as powerful voices for 69 foster youth within his counties. When Jesus is not serving the highest need children and families in Eastern Oregon, you can find him volunteering in community events, like Martin Luther King Celebration and Cinco de Mayo, or fishing on the Columbia River with his four children and five grandchildren.